Can opioid addiction be reversed? 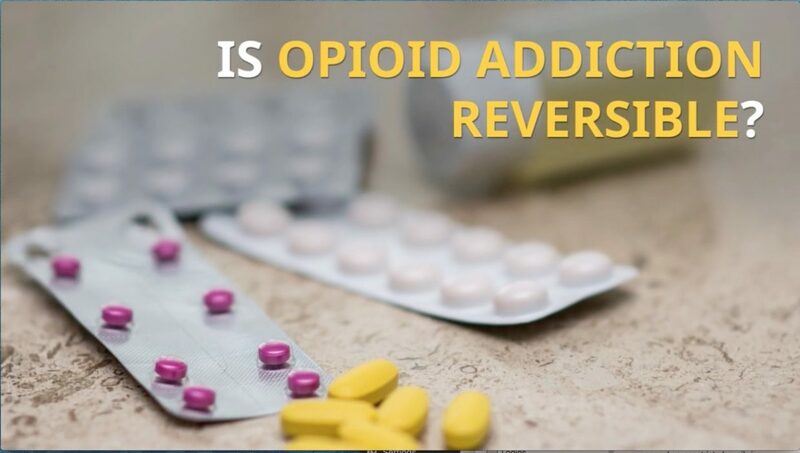 The ‘short’ answer to the question: “is opiate addiction reversible” is YES. About two weeks after continued use of opiates, the brain will develop dependence to that specific opioid. Over time, dependence will be reinforced with continued use of opiates. Once that opiate is not taken, then the brain would go into a state of withdrawals. By then the patient realizes that without the opiate use life would be difficult, to say the least. At this juncture, the brain has developed changes resulting in damage to its neuro-circuitry. As long as that opiate is being used such damage continues. That brain damage would result in opiate addiction. Addiction is a chronic, relapsing disease. Although a small percentage of patients are strong enough to stop using opiates cold turkey, most others are not able to stop using their opiate of choice. In this case, we are able to help this group of patients to stop that opiate use with our rapid detox treatment. The brain damage can be repaired when that opiate is not being used for at least one year. How can that be achieved? Naltrexone is an opiate-blocker which will help patients lose their opiate craving. By not using opiates as a direct effect of Naltrexone, maintenance therapy will free the brain receptors from being occupied by opiates. That process gradually helps repair the damaged neuro-circuitry of the brain. It takes about 1-2 years to repair this damage within the brain. The changes in the higher executive functions of the brain will repair over time. Psychotherapy, along with a 12-step program, are an integral part of the healing process. Psychiatry and psychotherapy will help in identify the underlying cause of what leads patients to self-medicate with opiates. Patients should remain focused, occupied with work, involved with family functions and continue to follow-up with their medical professionals to further the healing process.